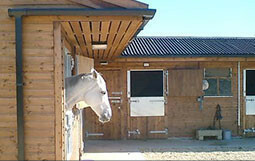 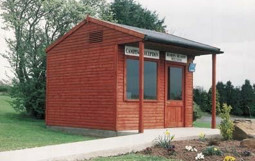 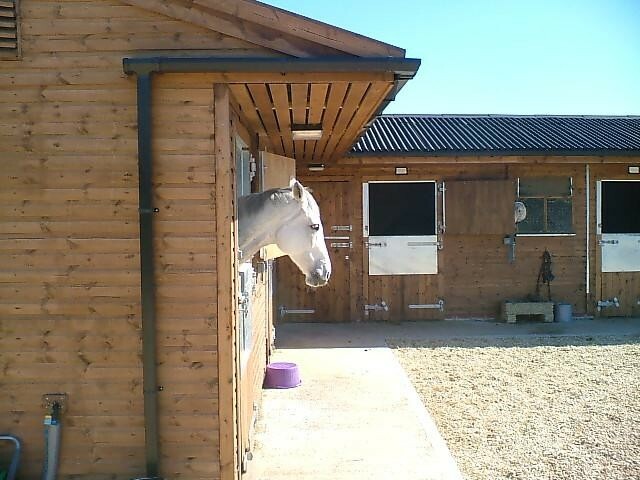 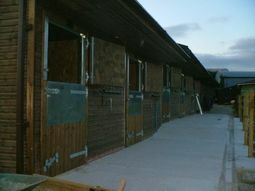 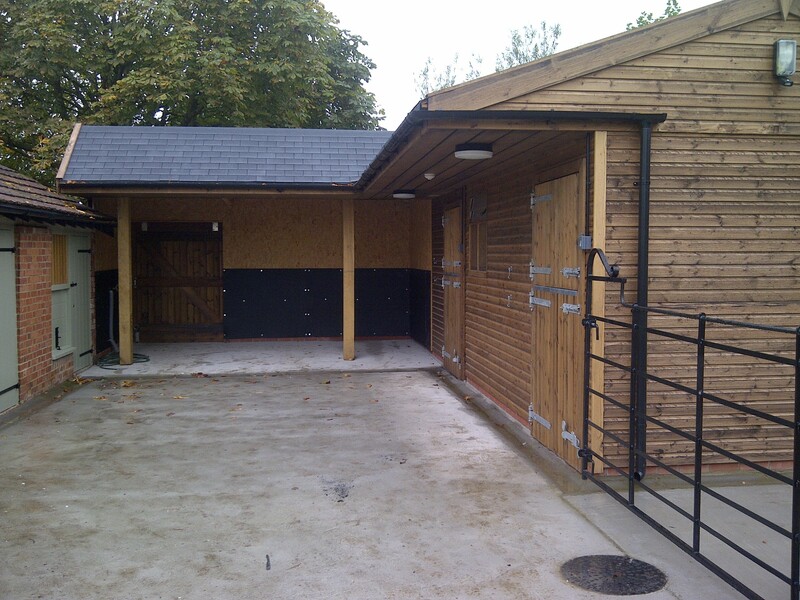 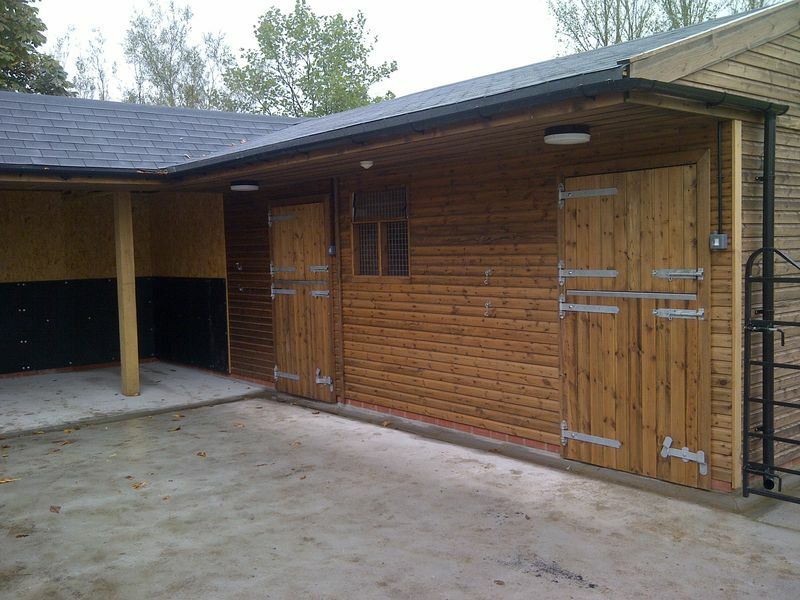 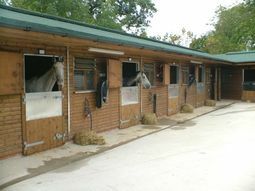 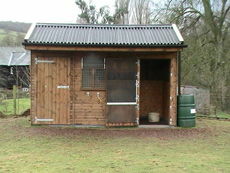 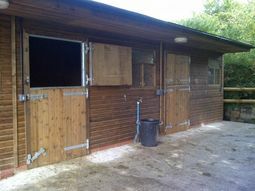 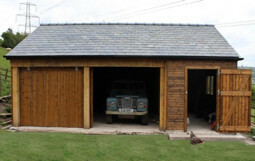 Deluxe range 'L' shaped stable block with vented canopy. 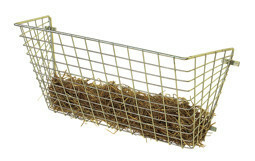 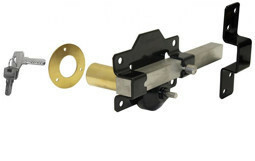 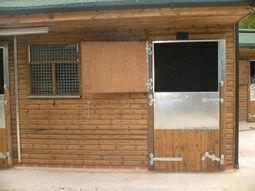 Stable doors with extra deep metal protection on the bottom doors and top door frame chew strips. 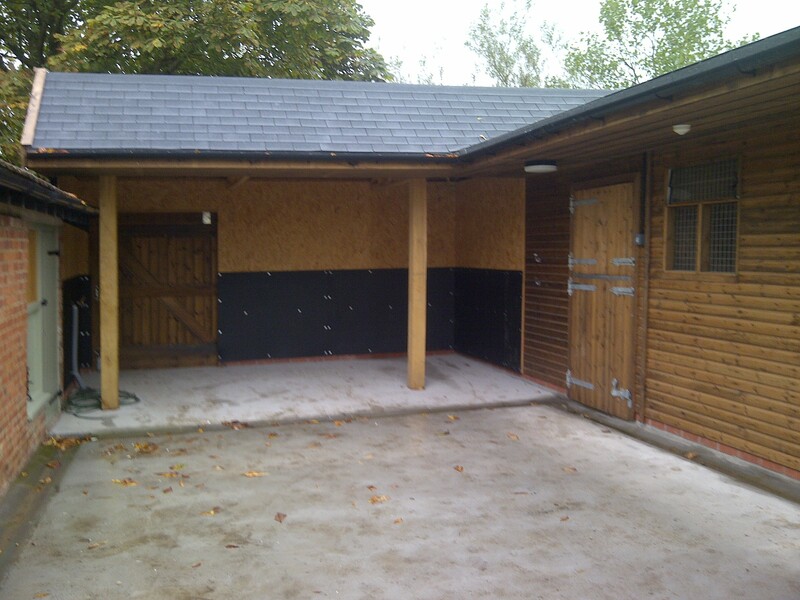 Tongue and groove Shiplap Cladding treated with our solvent based Golden Brown Cuprinol preservative, and black Ondunline roof. 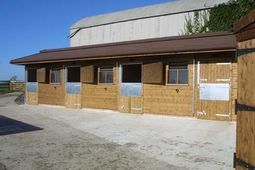 For further details and quotations, please contact us.